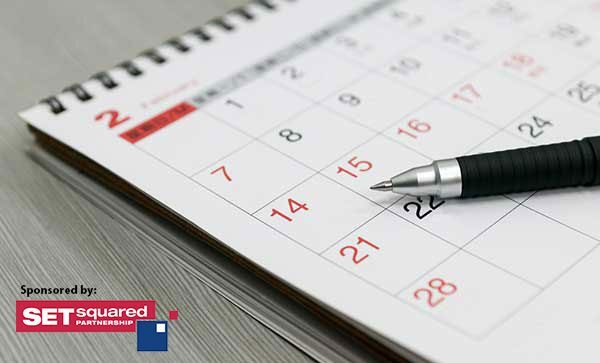 Highlighting some of the best tech events, meetups and more each month in Bristol and Bath! Welcome to TechSPARK’s events round-up, summarising the upcoming tech-related events in Bristol and Bath! Like Minds is the innovation and ideas festival that will be bringing together some of the top entrepreneurs in the country along with amazing speakers you would normally have to travel to see! As well as speakers, there will be a Bristol Innovation Showcase curated by Bristol’s very own tech incubator, The Engine Shed, and the team at here at TechSPARK. So come along and meet some of the people behind the most innovative technology companies in Bristol and beyond for a whirlwind 2-day extravaganza. Find out more about Like Minds Festival and get your tickets. They may have been keeping quiet during the summer, but Pervasive Media Studio lunchtime talks are now back with a bang. In collaboration with Ideas for Change, Knowle West Media Centre (KWMC) has created The Bristol Approach, a new way of creating smart cities which enables people to harness the power of technology to tackle the issues they care about. In this talk hear about its collaborative project ‘Dampbusters’, which uses quirky frog-shaped tech to tackle the problem of damp and mould in local homes. Also, get to know how you can get involved with the next phase of the project too. Pervasive Media Talks take place every Friday, are free and don’t require booking. In association with Bath-based eCommerce platform business, blubolt – Bath:Hacked is bringing you a day-long collaborative event using open data to do good. With a theme of ‘Celebrate the City’, attendees are invited to be broad and creative with their ideas. And, of course, there will be food, drinks and prizes provided! To RSVP, join the Bath:Hacked meetup group for free! Mobile Monday brings you an evening looking at the latest mobile-centred transport initiatives that are bursting out of the South West region. With speakers from shared ride-to-work service, Slide Bristol as well as walk-to-school app Crocodile – there will be plenty of ideas to spark inspiration in this crowd of innovators. Get your free ticket to Mobile Monday Bristol: Transport. With this being the week that the Tour of Britain is taking place, and Bristol about to become the European City of Sport, we thought it is about time for us techies, tech-curious, founders and entrepreneurs to get involved, get on the saddle and talk tech! 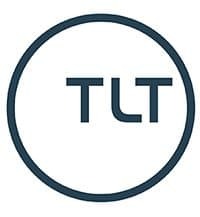 The first ride will be led by Rich Keith of Yogscast fame, an avid techie, original TechSPARK member and super keen cyclist. You can explore fascinating buildings, including hubs for tech and innovation, join guided tours and enjoy a range of events and activities – all free for the day. 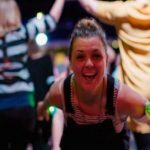 Check out the full list of open venues and put your itinerary together by visiting the Bristol Open Doors website. As society’s use (and need) for robots grows, there are many aspects of future life, work and play that will require their presence: understanding the complexities of our relationship with robots is crucial. This unique event showcases collaborative research that has taken place across the country over the last three years, exploring the challenges and opportunities that arise when humans and robots share public space. Check out the amazing Being There Showcase speakers and book your free ticket. After the success of building HealthTech Women (HTW) hubs in London and across the North of England, HTW UK is extending its reach and launching a new hub in Bristol. The inaugural HTW UK South West Soirée will welcome leading ladies from across health and social care to network, nibble and hear from panellists sharing their personal journeys into health tech and the transformational work they are delivering across health and care. To attend HTW UK South West, RSVP by paying a refundable £5 deposit via Eventbrite. 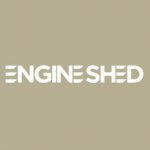 Engine Shed invites you to the third in its finance series with a panel of luminaries assessing the current state of maturity of crowdfunding. Featuring a talk with Q&A, followed by drinks and networking. Crowdfunding has grown significantly over the last few years – with many of the pioneers emanating from the innovation-rich South West of England. In this panel, attendees will hear from a number of established crowdfunding sites, a crowdfunding enabler and a seasoned angel investor. Find out more about the speakers and RSVP for your free ticket to the Engine Shed’s crowdfunding talk. BathCamp is a free bi-monthly event for anyone interested in technology, from hardware to software through to the business and design. September’s BathCamp features four fantastic, varied, speakers covering all aspects of tech education, from teaching kids to teaching yourself. Check out BathCamp’s September speakers and join the meetup group to RSVP. Be quick, though, spaces often run out fast for this popular event! The Centre for Modelling & Simulation (CFMS) will be hosting an ‘End of Summer Big Breakfast Event’ on 20 September 2016, 8am – 10.30am. 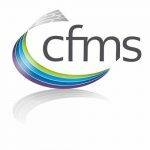 Held at Bristol and Bath Science Park, CFMS is inviting customers, members, partners, neighbouring tenants and businesses from Bristol and the surrounding area to join them for breakfast to network and collaborate with new and existing contacts. Join CFMS for bacon sarnies and networking by registering for a free ticket. Encounters is the UK’s leading short film & animation festival running over 5-days at Bristol’s independent cinema, The Watershed. The festival discovers, supports and develops new talent in filmmaking, providing a platform for emerging and established filmmakers from around the world, and a unique meeting place for the industry. It is also where the winner of Opposable VR and China’s VR LET 360 film competition will be announced! 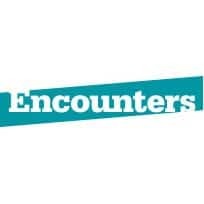 Head to the Encounters website to find out more about the festival and get your tickets. Bath Ruby organise informal gatherings for Ruby programmers in and around Bath. They welcome anyone with an interest in Ruby, from those who are just curious about the language to developers who have been working with it for years. Join them this month for a series of speakers on topics from navigating the legal pitfalls around using open source code to coding for the hospitality industry. Join the Bath Ruby meetup group for regular updates on its events and to sign-up for free to the talk night. SQL Bristol is a brand-new meetup group formed to offer knowledge sharing and networking opportunities for anyone interested in data including professionals, techies, researchers or simply those with an interest in data applications and technologies. Join the SQL Bristol meetup for more information and updates on their very first event!